today we are featuring some of our most popular winter-themed craft posts from the last couple of years. have fun browsing and have fun making! happy monday! 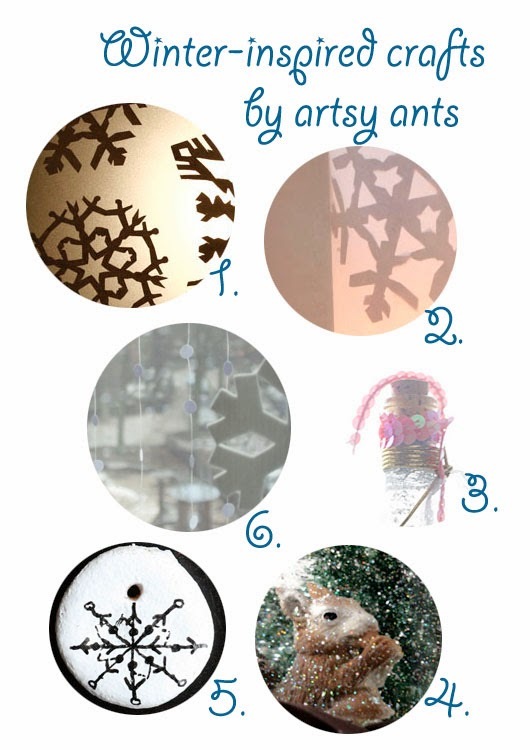 4. make your own snowdome/ snowglobe! The snowstorm in #6 is something I just considered making, but then I remembered I have a cat now and she'll think she's supposed to attack and eat the string :) Maybe I'll have to stick with paper snow flakes, those are always fun to make too.